Albert was a reserve player with Huddersfield Town and during WW2 he was based in Perth as an instructor with the army and joined United initially playing as a Trialist. His scoring record in season 1941-42 was extraordinary and in one match, against St Bernard's he set the record for a United player with six goals in one game. He was top scorer in that season. In the following two seasons he played frequently and spent the next season with Jeanfield Swifts but was back at United for 1944-45. On 11th August 1945 United fans were stunned when the player signed for Dundee, with Huddersfield picking up a £2,000 fee in the process. He later played with Portsmouth, Everton and Berwick Rangers (loan). 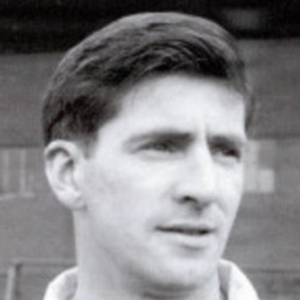 "Juli" was re-signed by United and had a short stay with the Club in 1953 and then he moved to Brechin City. Albert was born on this date in Blyth, Northumberland, England.